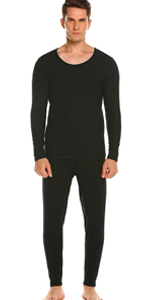 These pajamas are so soft, cool, comfortable, fit as expected, everything they claim to be! They are super soft and fit as expected. Excellent fit, true to size. 5.0 out of 5 starsBest Pajamas Ever! My new favorite pajamas! I am so used to being disappointed when ordering clothes online, but this was an awesome surprise. They are the softest pj's I have ever put on. The fit is perfect. I ordered a Medium and they are just right.I am 5'9" and 160 lbs Not too short, not tight fitting and not baggy. I just ordered them in another color, as well as, the long sleeve/pant version. 5.0 out of 5 starsSo comfy! I just received my pajamas today. I purchased these to wear in the hospital and at home to nurse (the button up style will be very helpful). The material doesn't feel cheap or thin at all, it is SO soft and it's a bit stretchy. I ordered a medium, I am 5'6" and about 180 lbs at 35 weeks pregnant. They fit great, a little tight through my belly (obviously!) but I know they'll fit even better when I lose this belly. Very happy with these pajamas, definitely worth the cost! These PJs are so comfortable. I live in a place with high humidity so I love the fact the fabric doesn't cling to you. 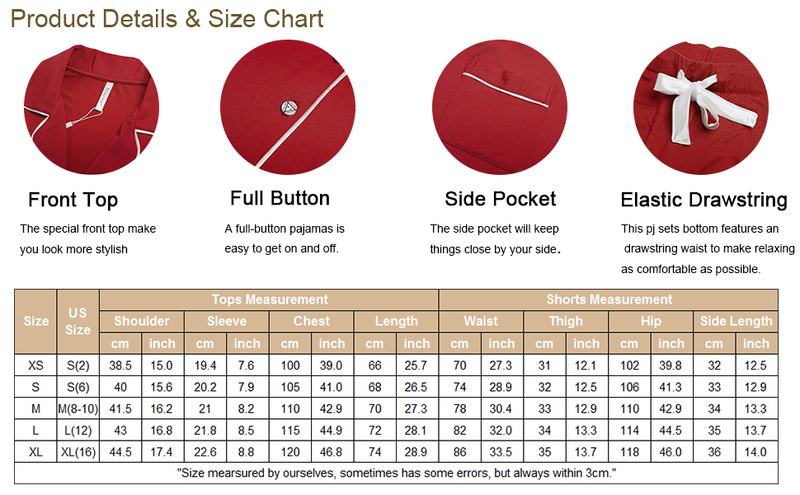 The fabric is the perfect thickness, not too thin but not so thick you're sweating in them. Plus they feel so smooth and soft and very breathable. Too small. I ordered XL and received "US size 10" according to the labels. I have breast cancer and am having a mastectomy this week and need very, very loose button-down tops for recovery. ***UPDATE*** I was contacted by the company and they apologized and refunded my money. They explained that they were bringing this to the manufacters attention. I thank you very much for making the effort to make this right. I have purchased 2 other sleep sets from this company in the past of love them (so soft & correct sizes). 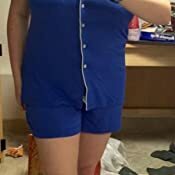 The fabric is fine for warm weather (90's here) but, provides a bit more modesty in the style which is what I was looking for when we have overnight company and I want to be able to put PJ's in front of them. THESE ARE THE BEST PAJAMAS - EVER! 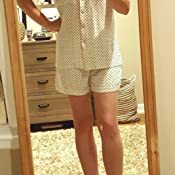 I am a person who is very picky when it comes to pajamas, they can't be too clingy and I can only wear shorts when I sleep, because pajama pants are too warm and feel like I'm suffocating my legs in my sleep. 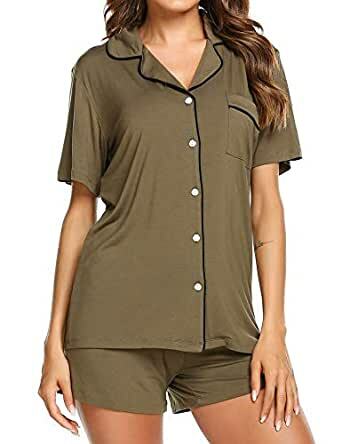 I was eyeing these pajamas for a long time before I finally gave in and bought them because I wasn't sure if the $30 price tag was worth it. Boy, was I wrong! 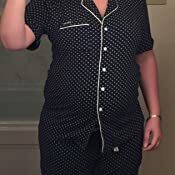 Not only are these the softest, most comfortable pajamas I've ever worn, they are not clingy, they came in cute packaging, and they make me feel cute when I'm sleeping! I LOVE THESE PAJAMAS! 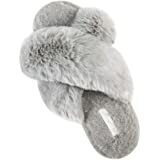 I came back on here just to buy another pair because I like them so much...I'm never going back to wearing gym clothes to bed!!! 5.0 out of 5 starsThe softest most comfortable pjs ever! These are the softest pajamas I've ever worn! The fit is great. They keep me cool in the south Alabama summer heat, yet they are also warm. These pjs are so soft, that my children love sitting next to me and rubbing them lol! I ordered a size large and I'm a 12 and 36 D. I love these so much that I plan to buy them in every color! 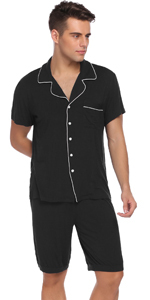 I highly recommend this pj set!